Traditional colorants used in Japanese woodblock printing may be visually and chemically altered by exposure to light, pollutants, pH extremes, humidity, water, and other solvents. 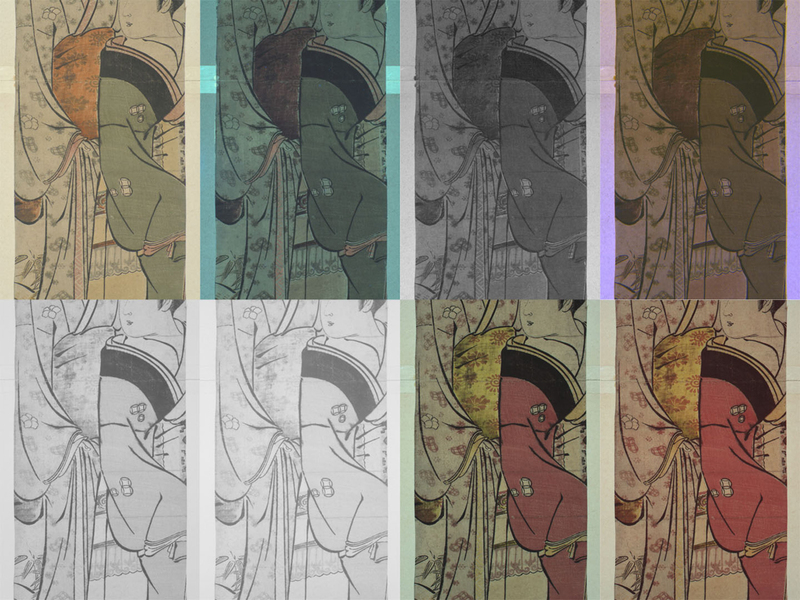 It is helpful, therefore, to identify colorants in Japanese prints when considering the potential impact of conservation treatment, storage, and exhibition on their long-term preservation. Library of Congress FP 2 – JPD, no. 530. Detail of the five ink colors present in the print. Five colored inks, including black, were used to create “Two Beauties under a Cherry Tree” (Ouka no nibijin), printed by Torii Kiyonaga in 1782-83. The inks were identified by close visual inspection and non-destructive instrumental analysis. First, a stereomicroscope at high magnification was used to visually determine if the inks appeared to be composed of dyes, pigments, or a mixture of the two. When pigment particles were present, physical characteristics such as relative particle size, edge definition, surface reflectance (matte or shiny), and transparency or opacity were noted. These observations were compared to known samples of traditional Japanese colorants to make a tentative identification. 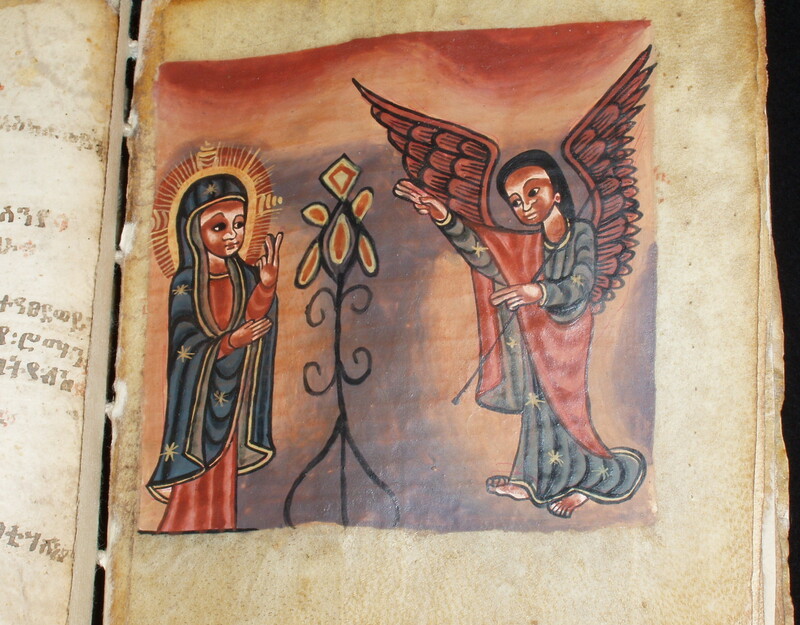 For example, the green robe on the figure at the right is a mixture of blue and yellow pigments. The yellow pigment is semi-opaque, irregularly shaped, and — compared with the blue pigment particles, which were small enough to sink into the interstices of the paper — much larger and variable in size. The yellow pigment correlated well with known samples of orpiment, an arsenic sulfide pigment, and the blue appeared similar to indigo, a plant based dye. Green colorant under five times magnification showing yellow and blue colorant particles. Imaging under discrete bands of ultraviolet, visible, and infrared radiation using a multispectral digital camera was used to further characterize the colorants. Because each colorant is a different chemical compound, each selectively absorbs, fluoresces, transmits, or reflects characteristic wavelengths when exposed to specific bands of the electromagnetic spectrum. These characteristic responses are captured by the digital camera and are compared to the spectral responses of known colorant samples. Because different materials may have similar responses to all wavelengths and therefore cannot be readily distinguished by imaging alone, additional analytical tools are often used to solidify a preliminary identification. Multispectral imaging showing differing spectral responses to discrete bands of radiation. Clockwise from Top Left: Visible (400-700 nm); Ultraviolet-induced visible fluorescence (300-400 nm); Ultraviolet reflectance (300-400 nm); False color ultraviolet; Near infrared 1 (700-950 nm); Near infrared 2 (1000-1100 nm); False color near infrared 1; False color near infrared 2. Red lead: an orange-red mineral pigment known in Japan as tan. Red lead absorbs ultraviolet radiation (appears dark in the ultraviolet images), is transparent to infrared (disappears in the infrared images), and appears yellow in false-color infrared. The chemical compound of red lead, lead tetroxide, degrades to a black product, lead sulfide, upon exposure to sulfurous compounds. In false-color infrared, the black corrosion product, lead sulfide, appears dark. (While the presence of lead sulfide could be the result of exposure to sulfur dioxide, an omnipresent environmental pollutant produced by burning fossil fuels, Japanese printmakers sometimes deliberately induced conversion of red lead tetroxide to silver lead sulfide, which also degrades to a black color. For more information about both environmentally-induced and deliberate alteration of red lead in Japanese prints, see Conservation Treatment of a Japanese Pillar Print.) X-ray fluorescence (XRF) analysis confirmed the presence of lead in the red colorant of the Kiyonaga print and Raman spectroscopic analysis positively identified the colorant as red lead. Safflower: a pink colorant extracted from safflower petals, known in Japan as beni. The most characteristic feature of beni is its bright orange-pink fluorescence when exposed to ultraviolet radiation. Beni fades quickly upon exposure to light and may be easily solubilized in water. XRF and Raman analyses indicated only that the pink colorant in the Kiyonaga print is organic. A definitive identification of the colorant would require further analysis. The presence of safflower was indicated primarily through its bright, orange-pink fluorescence in ultraviolet light. Indigo: a dark blue plant-based dye precipitated onto an inorganic substrate such as a metallic salt, known in Japan as bero-ai. 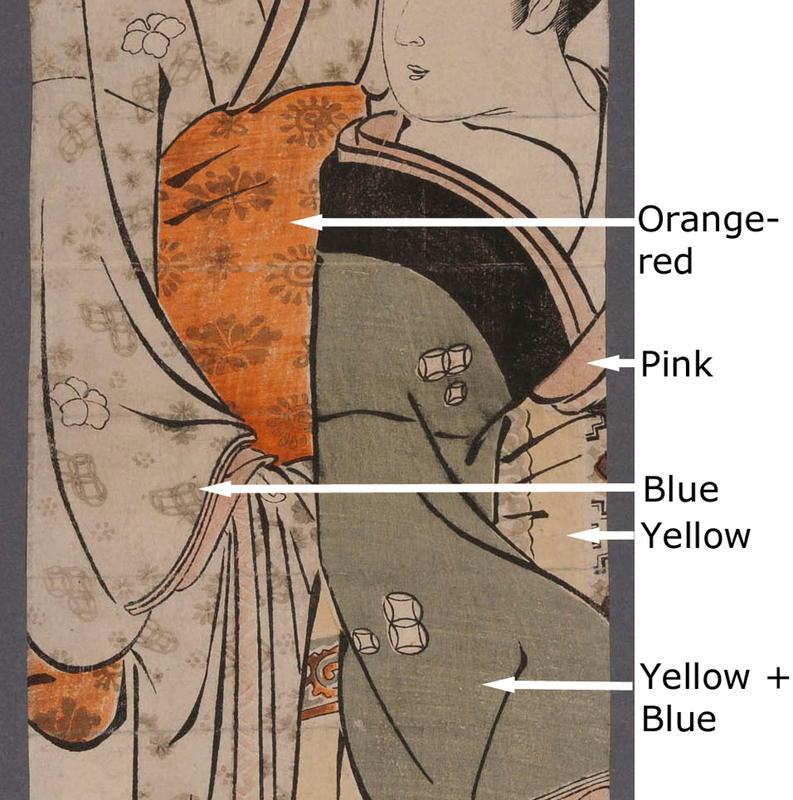 In the image by Kiyonaga, indigo was used to print the textile pattern in the kimono worn by the left figure and was mixed with yellow to create green, seen in the kimono worn by the right figure. The colorant has altered over time so that it appears a dull green-gray. The most characteristic feature of indigo is its bright pink appearance in false-color infrared. Indigo is sensitive to high pH. 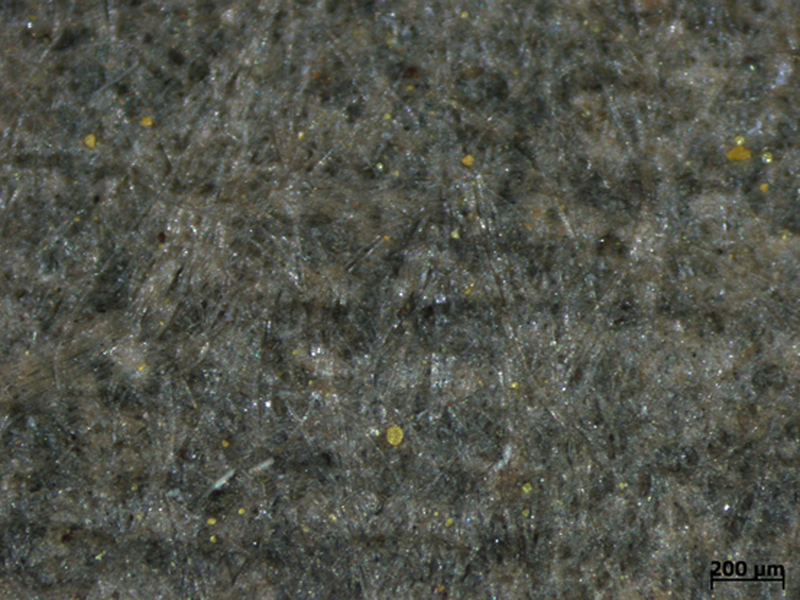 Raman spectroscopy positively identified the gray colorant in the Kiyonaga print as indigo. Orpiment: an opaque mineral pigment composed of arsenic sulfide, known as shio. The spectral responses of the yellow colorant, used alone and mixed with blue to create green, was similar to known samples of both orpiment and gamboge. However, as noted during examination under the stereomicroscope, the physical characteristics of the pigment appeared more similar to orpiment than to gamboge, a colorant obtained from tree resin that is valued for its brilliant yellow hue and transparency. 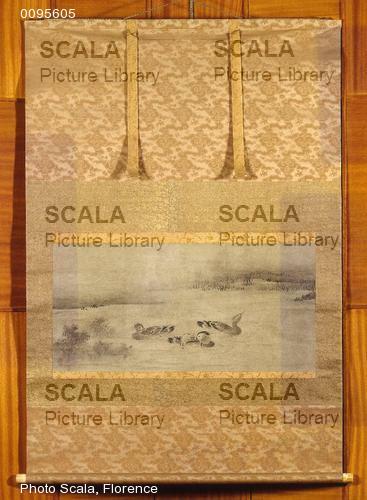 XRF confirmed the presence of arsenic and sulfur in the yellow colorant of the Kiyonaga print. Raman spectroscopy positively identified the colorant as orpiment. Studying a famous Leonardo self-portrait, a team of scientists has developed a new, nondestructive way to gauge degradation of ancient paper art and docs. One of Leonardo da Vinci’s masterpieces, drawn in red chalk on paper during the early 1500s and widely believed to be a self-portrait, is in extremely poor condition. Centuries of exposure to humid storage conditions or a closed environment has led to widespread and localized yellowing and browning of the paper, which is reducing the contrast between the colors of chalk and paper and substantially diminishing the visibility of the drawing. 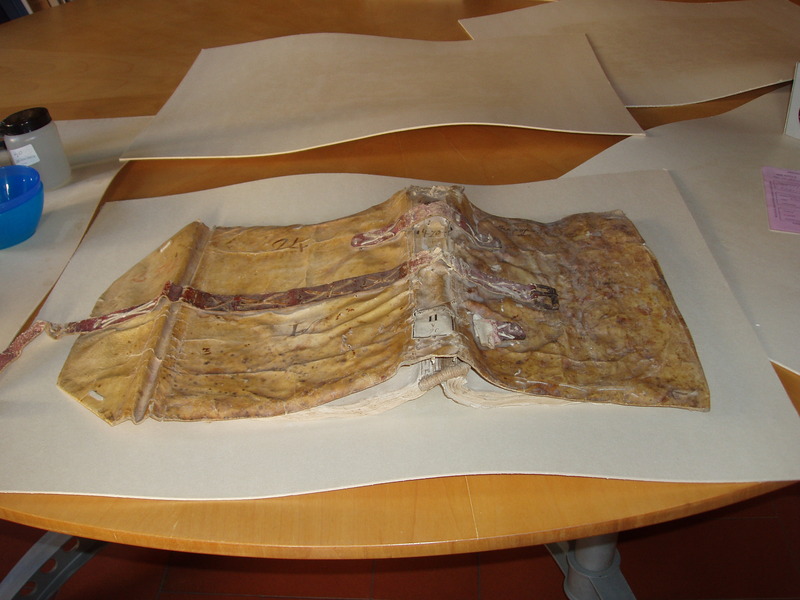 A group of researchers from Italy and Poland with expertise in paper degradation mechanisms was tasked with determining whether the degradation process has now slowed with appropriate conservation conditions — or if the aging process is continuing at an unacceptable rate. 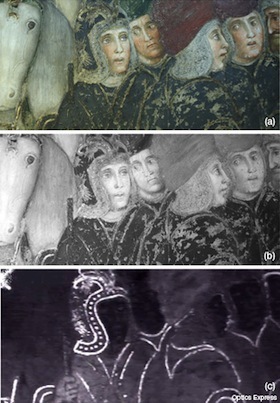 To do this, as they describe in Applied Physics Letters, from AIP Publishing, the team developed an approach to nondestructively identify and quantify the concentration of light-absorbing molecules known as chromophores in ancient paper, the culprit behind the “yellowing” of the cellulose within ancient documents and works of art. Chromophores are the key to understanding the visual degradation process because they are among the chemical products developed by oxidation during aging and are, ultimately, behind the “yellowing” within cellulose. Yellowing occurs when “chromophores within cellulose absorb the violet and blue range of visible light and largely scatter the yellow and red portions — resulting in the characteristic yellow-brown hue,” said Olivia Pulci, a professor in the Physics Department at the University of Rome Tor Vergata. To determine the degradation rate of Leonardo’s self-portrait, the team created a nondestructive approach that centers on identifying and quantifying the concentration of chromophores within paper. It involves using a reflectance spectroscopy setup to obtain optical reflectance spectra of paper samples in the near-infrared, visible, and near-ultraviolet wavelength ranges. Once reflectance data is gathered, the optical absorption spectrum of cellulose fibers that form the sheet of paper can be calculated using special spectroscopic data analysis. Then, computational simulations based on quantum mechanics — in particular, Time-Dependent Density Functional Theory, which plays a key role in studying optical properties in theoretical condensed matter physics — are tapped to calculate the optical absorption spectrum of chromophores in cellulose. Their work revealed that the type of chromophores present in Leonardo’s self portrait are “similar to those found in ancient and modern paper samples aged in extremely humid conditions or within a closed environment, which agrees with its documented history,” said Mauro Missori, a researcher at the Institute for Complex Systems, CNR, in Rome, Italy. One of the most significant implications of their work is that the state of degradation of ancient paper can be measured and quantified by evaluation of the concentrations of chromophores in cellulose fibers. “The periodic repetition of our approach is fundamental to establishing the formation rate of chromophores within the self-portrait. Now our approach can serve as a precious tool to preserve and save not only this invaluable work of art, but others as well,” Conte noted. The Getty Conservation Institute and the J. Paul Getty Museum embarked on a two-year project of conservation and research on Jackson Pollock’s seminal work Mural (1943). 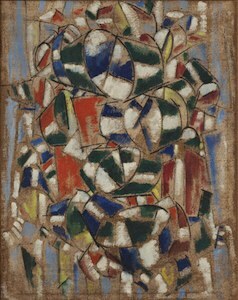 This included investigation into the materials and techniques used by Pollock during this critical early moment in his career, and a major conservation treatment to improve the painting’s aesthetic impact and to stabilize its physical structure. Ho trovato questo nel web, ve lo ripropongo perché è molto interessante ed eloquente. L’approccio al restauro di un’opera contemporanea è veramente un’impresa ardua e complessa. 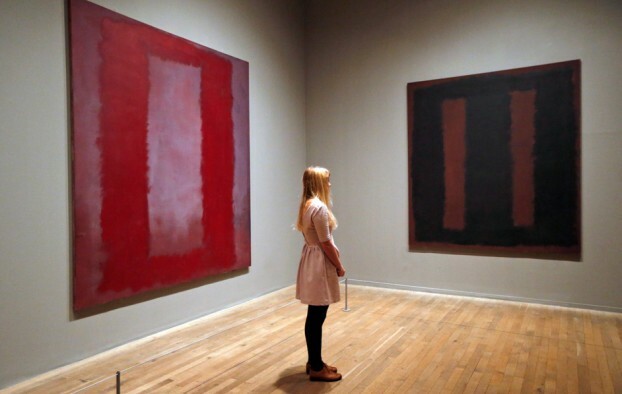 Un video della Tate Modern di Londra racconta il restauro della tela Black on Maroondel pittore statunitense Mark Rothko. Il 7 ottobre 2012 la tela era stata imbrattata con un pennarello nero da Vladimir Umanets, esponente di una corrente artistica chiamata Yellowism, che per questo atto di vandalismo ha passato un anno e mezzo in prigione. Dopo 18 mesi di restauro la tela è stata di nuovo esposta al pubblico il 13 maggio 2014. Stanno per laurearsi. O forse no. Sono gli studenti delle Scuole di alta formazione e studio (SAFS) del ministero per i Beni e le Attività culturali e del Turismo, istituite nel 2010, che da allora aspettano il riconoscimento di atenei a tutti gli effetti: manca solo una firma, quella congiunta del ministro dell’Istruzione e quella dei Beni culturali, ma tarda ad arrivare. E i 150 selezionatissimi ragazzi che frequentano i tre istituti (due a Roma, uno a Firenze) non sanno ancora se il loro titolo sarà mai riconosciuto. «Lo abbiamo scoperto per caso a gennaio- racconta Flavia Puoti, una delle studentesse dell’Iscr (http://www.icr.beniculturali.it/home.cfm) – E adesso stiamo facendo di tutto per segnalare una situazione assurda». Non è una pretesa spuntata fuori da un giorno all’altro, quella degli studenti. «Quando ci siamo iscritti, sapevamo con certezza che alla fine il nostro titolo sarebbe stato riconosciuto come laurea- spiega Flavia – Ci avevano detto che mancava solo una firma, quindi solo una questione burocratica. Invece stiamo già preparando la tesi e non sappiamo ancora se, alla fine di questo percorso ad altissima specializzazione, saremo laureati oppure no». Al danno la beffa: perché le tre scuole di alta formazione (l’Istituto per la conservazione e il restauro, l’Istituto centrale per il restauro e la conservazione del patrimonio archivistico e librario, entrambe a Roma, e l’Opificio delle pietre dure, con sede a Firenze) sono state riconosciute con lo stesso decreto legislativo che ha riconosciuto il corso di laurea magistrale a ciclo unico in Conservazione e restauro dei beni culturali, il 42 del 2004. Ma mentre quei corsi, essendo stati istituiti sotto l’egida degli atenei universitari, sono validi a tutti gli effetti, ai corsi SAFS manca l’avallo della firma finale per l’accreditamento. In sostanza, nonostante si parli di scuole frequentate solo da studenti super-meritevoli (ne vengono presi solo 15 all’anno dopo un test in tre fasi), senza quest’ultimo passaggio rischiano di sfornare restauratori preparatissimi, ma non riconosciuti.«E’ veramente sorprendente che istituzioni storiche – sottolinea Ludovica Alesse, rappresentante degli studenti del IV anno dell’Iscr di Roma – dove la disciplina del restauro ha avuto inizio con le teorie sviluppate da Cesare Brandi, Rabuccio Bianchi Baldinelli e Alfonso Gallo e che continuano ad essere un vanto italiano per l’estero, si trovino oggi in questa difficoltà». Risposta Miur: «Il decreto è alle limature e sarà pronto entro giugno. I tecnici del nostro dicastero hanno già sentito quelli del Mibac – si tratta di un decreto interministeriale – e stanno mettendo a punto la versione finale del testo». Loro (studenti) come noi, professionisti del settore, operanti da moltissimi anni nel restauro conservativo, con esperienza maturata su opere di altissimo valore artistico e storico, apprezzati e certificati dalle varie Soprintendenze…..cosa siamo???? Non è una una situazione paradossale??? E’ triste riconoscerlo, ma solo qui da noi, in Italia, può accadere una tale assurdità! 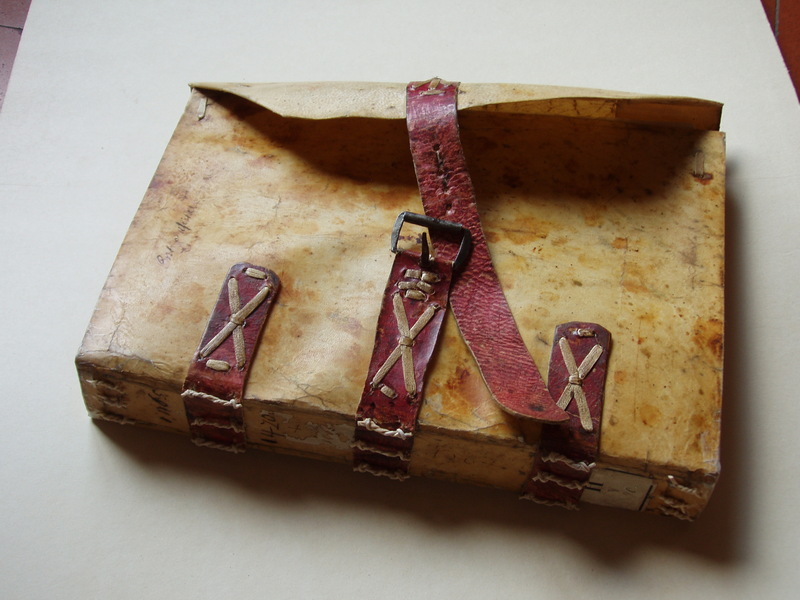 La richiesta di declassificare gli archivi “segreti” e rendere più trasparenti e liberamente consultabili gli archivi degli ultimi decenni, è stato uno dei temi centrali del convegno Archivi negati, archivi “supplenti”: le fonti per la storia delle stragi e del terrorismo, svoltosi nel giugno 2011 su iniziativa della Soprintendenza archivistica per l’Emilia-Romagna, dell’ Associazione parenti delle vittime della strage di Ustica e dell’Associazione tra i familiari delle vittime della strage alla stazione di Bologna del 2 agosto 1980. Gli interventi al convegno sono ora in corso di stampa nelle edizioni della Direzione Generale per gli Archivi. Il volume, dal titolo, Archivi memoria di tutti. Le fonti per la storia delle stragi e del terrorismo, a cura di Maria Lucia Xerri della Soprintendenza archivistica per l’Emilia Romagna e di Tomaso Mario Bolis, di Officina Immagine di Bologna, uscirà nelle prossime settimane. Se ne rende noto il Sommario, la Presentazione di Stefano Vitali e la relazione di Giulia Barrera, come contributo al dibattito sull’importante iniziativa del Presidente del Consiglio Matteo Renzi di desecretare gli archivi dei Servizi e di versarne la documentazione sulle stragi all’Archivio Centrale dello Stato e agli archivi di Stato competenti. Gli Archivi sono la nostra Memoria e devono essere preservati! è un rotolo di spessa carta, avvolto su un bastone di legno detto giku e chiuso da un laccio. Il kakemono si svolge in senso verticale e si distingue pertanto da un altro tipo di rotolo giapponese, l’emaki-mono, la cui pittura, invece, si sviluppa in senso orizzontale. La sua struttura è detta scina scitate (ordine cinese) ed è la più semplice fra tutte quelle dei kakemono. Un dipinto fatto su carta o seta viene incollato sulla base di spessa carta. Alle estremità superiore ed inferiore del dipinto vengono attaccati due bordi in seta broccata. 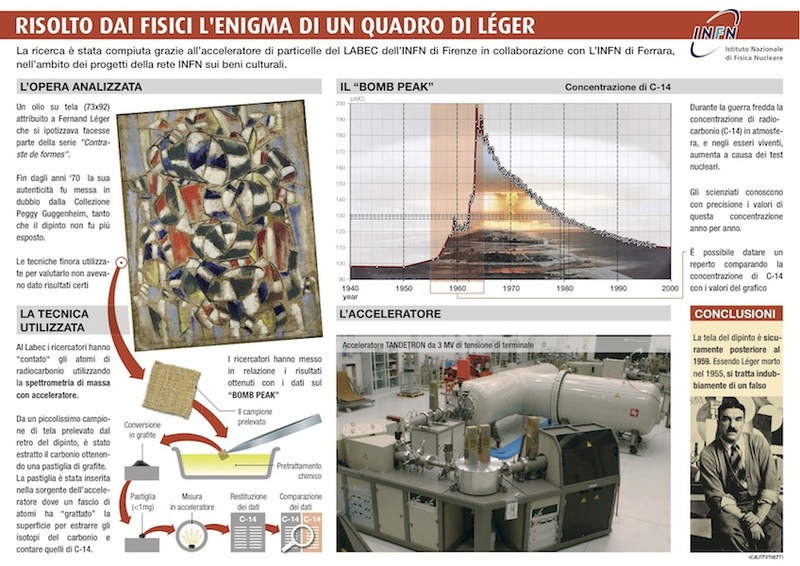 Il tutto viene completato da una cornice formata da quattro pezzi di seta. Essa deve essere differente rispetto a quella della bordatura del dipinto e le giunture devono essere impercettibili. L’estremità superiore del kakemono è fissata su un piccolo bastoncino di legno dotato di spago, affinché possa essere appeso con un chiodo. Il kakemono viene appeso nel tokonoma, uno spazio della casa giapponese in cui si espongono opere particolarmente raffinate, in relazione a cerimonie e cambi di stagione. A differenza dei quadri occidentali che restano fissi, i rotoli giapponesi sono concepiti come dipinti mobili, e vengono esposti per brevi periodi. Questa usanza mi piace molto, la “mobilità” dell’esposizione mi trasmette un senso di libertà e di movimentazione del gusto. La vita è movimento. L’arte come espressione della vita, tende all’armonia. Armonia e filosofia dello spirito. Primo laboratorio del 2014, pochi posti disponibili! 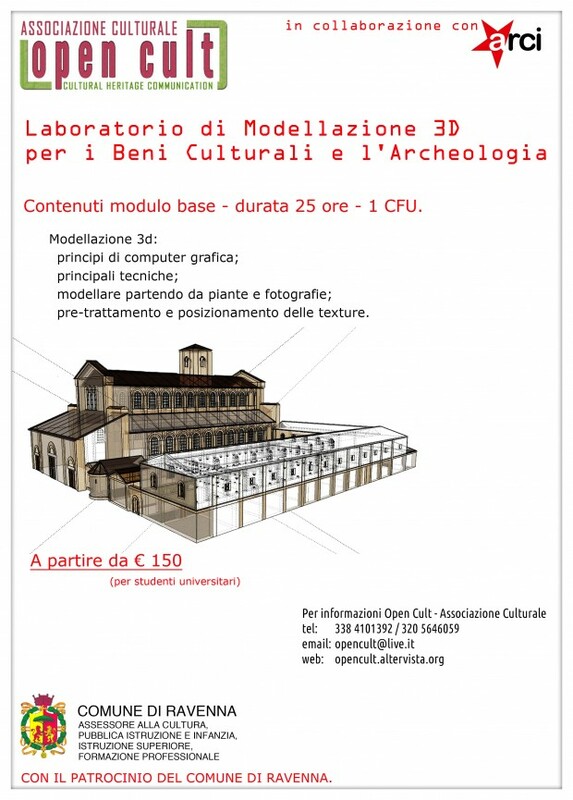 Il corso è rivolto a tutti gli studenti ed gli operatori dell’ambito archeologico e dei Beni Culturali e mira a fornire le competenze necessarie per orientarsi nei nuovi ambiti dell’archeologia virtuale, dell’archeologia digitale e della cyber-archeologia, nonché un adeguato livello di conoscenza, dal punto di vista scientifico-qualitativo, dei processi di acquisizione, gestione e trattamento dei dati digitali. A fine corso gli studenti avranno le conoscenze necessarie per realizzare in autonomia monumenti complessi con texture e sapranno come presentarli in maniera corretta! Sketchup per la modellazione (versione free disponibile su ogni sistema operativo), tecniche di modellazione applicabili ai principali software commerciali. Cenni di utilizzo dei principali software: 3D Studio Max, Cinema 4D, Maya, Autocad, Blender, etc. Software di grafica 2D per la gestione delle texture: Photoshop, Gimp, Paint.net, etc. Tutti i software commerciali verranno forniti nella versione DEMO o Studente, o verranno fornite indicazioni sul reperimento. Modellazione 3D: principi di computer grafica; modellazione di oggetti 3D (point to point, nurbs, solid..); dal cad 2d al cad 3d; cenni sui principali software commerciali; pre-trattamento e posizionamento delle texture; il rendering. Il laboratorio prevede due incontri settimanali della durata di 3 ore e si terrà presso la sede ARCI di Ravenna. Il corso si svolgerà sotto il patrocinio del Comune di Ravenna, darà quindi la possibilità di ottenere il riconoscimento di 1 CFU. Vi consiglio questa mostra, avrete tempo per vederla, fino al 13 gennaio 2014. Ci sono diversi buoni motivi per consigliarvela. Prima di tutto, perché come leggerete dall’articolo qui sotto riportato, sono esposte tante bellissime opere, molte delle quali, provenienti da diversi paesi stranieri: occasione unica da non perdere. Sono raccolte insieme ed esposte in uno scenario particolarmente affascinante quale è il Palazzo Pretorio di Prato, il cui restauro, terminato da poco, ha saputo valorizzare la sua bellezza architettonica e storica. Le opere sono accompagnate e avvalorate da una esposizione di antichi registri e filze, provenienti dall’Archivio di Stato di Prato, che ne documentano la storia nella loro fase progettuale ed esecutiva. Pezzi di “memoria storica” dell’opera d’arte. L’individuazione della committenza di un’opera è elemento di grande rilievo per la storia e la critica d’arte e per la contestualizzazione culturale dell’opera. Il committente, che richiedeva e promuoveva l’esecuzione di un’opera e ne affidava l’incarico a uno o più artisti, generalmente ne sosteneva economicamente l’esecuzione. Grande interesse rivela lo studio di questo aspetto di un’opera d’arte: gli orientamenti religiosi, politici, ideologici e la condizione sociale ed economica della committenza si rispecchiavano, molto spesso, nella concezione, nella forma, nella tematica e nel programma dell’opera da lui promossa e talvolta ne determinavano anche, almeno nelle linee generali, lo stile. E’ una comprensione più completa e più articolata nello studio di un’opera d’arte che ci aiuta a penetrare maggiormente lo spirito dell’epoca che ha prodotto e promosso la nascita della stessa. Uno di questi documenti, è stato da me restaurato, per essere esposto nella mostra. Esattamente il Registro N. 2587, Fondo Patrimonio Ecclesiastico, “Entrate e Uscite”, datato 1465-1474, nel quale è riportata la nota di pagamento a Filippo Lippi per la Pala della Chiesa dello Spirito Santo. Anzi, per l’esattezza, non si tratta proprio del normale pagamento, ma della registrazione di un prestito di 6 ducati, concesso dal priore del Convento, al “…depintore della taula che è al altare grande…” . Allora come adesso, gli artisti, fuori da quell’aura magica del saper creare arte, mossi da ispirazione profonda, si trovavano a dover far i conti col quotidiano tribolar per vivere. Forse leggere questi documenti ce li fanno apparire più umani e forse ce li fanno amare ancora di più. Il Registro cartaceo, ha una coperta in piena pergamena floscia, dotata di patta di chiusura e tre corregge in pelle allumata tinteggiate in pigmento rosso. La centrale, che avvolge tutto il volume, a mo’ di cintura, mostra una fibbia metallica. Una grande mostra fa rivivere uno dei momenti magici dell’intera storia dell’arte italiana, quello vissuto nel Quattrocento dalla città di Prato quando qui operarono molti tra i maggiori artisti italiani dell’epoca. Per “Da Donatello a Lippi. Officina Pratese”, curata da Andrea De Marchi e da Cristina Gnoni Mavarelli, tornano in città capolavori creati in quegli anni e oggi dispersi in musei di mezzo mondo. La mostra è promossa dal Comune di Prato, con il sostegno della Fondazione Cassa di risparmio di Prato, e la collaborazione di Mondo Mostre, tra i principali organizzatori di eventi culturali in Italia. Intorno alla fabbrica della prepositura di Santo Stefano (poi cattedrale) presero forma imprese memorabili, da annoverare fra gli episodi più singolari ed affascinanti del primo Rinascimento. Per il pulpito destinato a mostrare la reliquia della Sacra Cintola, per gli affreschi della cappella dell’Assunta e della cappella maggiore, per altri arredi vennero chiamati artisti della grandezza di Donatello, Michelozzo, Maso di Bartolomeo, Paolo Uccello e Filippo Lippi. A loro va aggiunto il figlio di fra Filippo, Filippino, che da Prato prese le mosse e a Prato tornò a lavorare da anziano. Su tutto domina la figura carismatica di Filippo Lippi, che fra anni ’50 e ’60 del Quattrocento tenne aperto il cantiere degli affreschi di Santo Stefano e del Battista, nella cappella maggiore del Duomo. Altre sue opere in mostra documentano la fantasia eccitata e le estenuate eleganze di questa splendida maturità. Intorno a lui si formarono pittori che meritano di essere meglio conosciuti, come il Maestro della Natività di Castello o Fra Diamante. 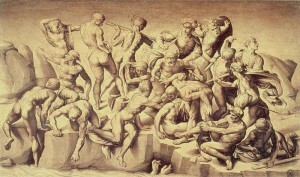 Prima di Lippi le figure di maggiore spicco che operarono per Prato furono Donatello e Paolo Uccello. Del primo è una Madonna col Bambino fra due angeli, del museo pratese, sottovalutato capolavoro giovanile. Anche Paolo Uccello, quando verso il 1433 affrescò nel Duomo di Prato, era un giovane in ricerca e la mostra sarà l’occasione storica per raccogliere per la prima volta al mondo praticamente tutte le opere di questa irrequieta giovinezza, fra anni ’20 e ’30 del Quattrocento, ancora in bilico tra fiammate goticheggianti e una narrazione più realistica e penetrante. La mostra vuole offrire, attraverso una scelta di opere tutte di grande qualità, alcuni squarci di luce su queste personalità, per aiutare a capire meglio quanto a Prato di loro è rimasto. Al tempo stesso si prefigge alcune operazioni esemplari di ricostruzione di opere che erano a Prato e che sono state smembrate, riunendo predelle e pale ora divise fra i musei pratesi e le collezioni straniere (l’Assunta di Zanobi Strozzi dipinta per il Duomo, ora a Dublino, e la predella del Museo di Palazzo Pretorio; il capolavoro del Maestro della Natività di Castello, la pala di Faltugnano ora nel Museo dell’Opera del Duomo, la cui predella è spartita fra la National Gallery di Londra e la Johnson Collection di Philadelphia). 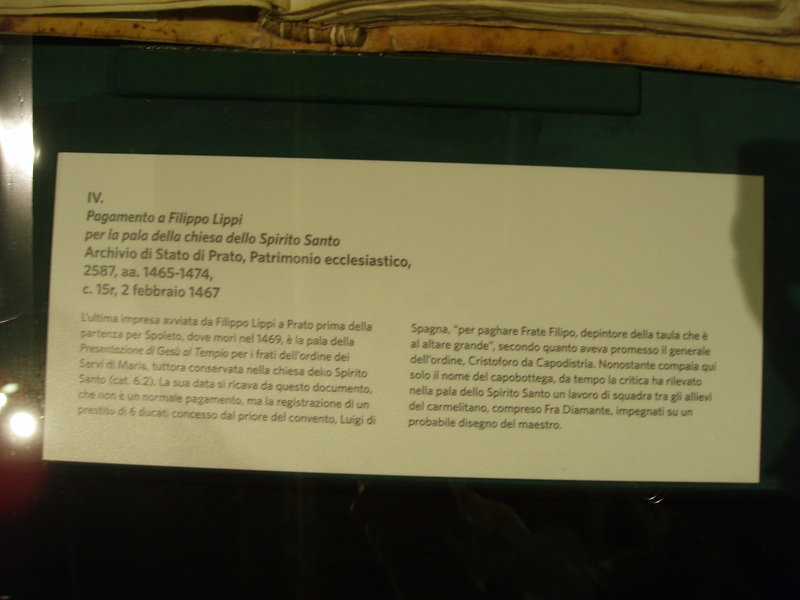 Saranno così riportati a Prato capolavori che si trovano in importanti musei stranieri, come la pala di Budapest di Fra Diamante, proveniente dall’oratorio di San Lorenzo, con un doveroso omaggio al genio diFilippino Lippi, grazie alle opere della giovinezza e del suo ritorno a Prato nella piena maturità artistica. Uno spettacolo per gli occhi ed i sensi, insomma. Ed insieme una ricognizione rigorosa di un momento artistico che ha ancora molti aspetti da svelare. In occasione della mostra “Da Donatello a Lippi, Officina pratese” che ha riaperto i battenti del Pretorio di Prato, presso il museo Casa Datini e l’Archivio storico della nostra città si terrà una esposizione parallela dal titolo “Officina pratese. 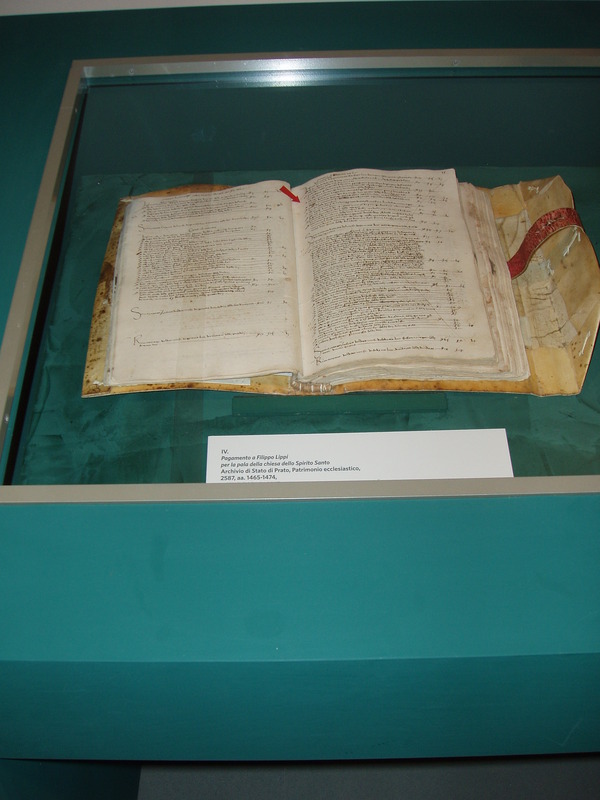 Documenti e committenza in Palazzo Datini”. Dietro ogni opera d’arte, che colpisce con la sua bellezza, ci sono precise volontà che mettono in moto le risorse necessarie a realizzarla: sono correnti di pensiero, conversazioni, circolazioni di letture, botteghe, committenze pubbliche e private, che concorrono a tradurre un progetto in realtà. Un caso esemplare fu proprio il ciclo di affreschi nella Cappella dell’Assunta, deciso concordemente dalla città e finanziato dai due Ceppi: la presenza del Lippi a Prato fu colta, non a caso, anche per affidargli ulteriori lavori, tra cui la celebre Madonna del Ceppo, destinata proprio a Palazzo Datini. Il percorso di questa mostra inizia nella corte del Museo, riproponendo la collocazione originale di quella pala. Prosegue nell’Archivio di Stato con alcune testimonianze dell’impegno della comunità pratese, protagonista nello splendore dell’arte toscana quattrocentesca. Da Donatello ad Antonio Rossellino e Mino da Fiesole, dal Lippi al Ghirlandaio, fino al Sangallo e Andrea della Robbia, la mostra – attraverso i documenti originali degli enti committenti, oggi conservati nell’archivio – offre uno spaccato di lettura di una stagione di straordinaria vivacità culturale e di altrettanto straordinario impegno civico. In questo modo il Palazzo del mercante, principale esempio della committenza privata pratese fra Trecento e inizi del Quattrocento, grazie alle istituzioni che in esso hanno sede, offre un ulteriore contributo a comprendere i tesori d’arte e i processi culturali rappresentati nella esposizione di Palazzo Pretorio e nei luoghi dell’Officina. tutti i giorni dalle 10 alle 13 e dalle 15 alle 18.